RMA Institute presents a photo exhibition on 13August - 2 October, 2016 by photographer Ralf Tooten (Germany). 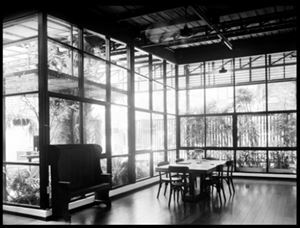 The gallery is located at 238 Sukhumvit Soi 22, Soi Sainamthip 2, Klongtoey 10110. "Nacht Wallen" is an ongoing photographic project by photographer Ralf Tooten. "Nacht Wallen" (Waves at Night) explores the enigmatic curiousness of the ocean seas through low light photography, using the camera to reveal the nothingness that is hidden from the human eye. Ralf Tooten began interest in low light photography after his Bangkok Noir project (2007-2009), which presents the city in shadow forms through its glowing tropical and concrete darkness. Tooten’s visual narrative moves into abstract territory as he tells of moonless nights spent on beaches that could have been anywhere in the world, staring into near impenetrable darkness, broken only by rare wave crests glittering in the distance. To Tooten these moments represent an overwhelming triumph of nature, so grand in scale that it makes us reflect on our primal fear of the dark as we contemplate what lies beneath the black surface of the water. Tooten’s images send our imagination on a journey beyond our deepest, most personal frontiers, both mentally and physically.